Closeout. 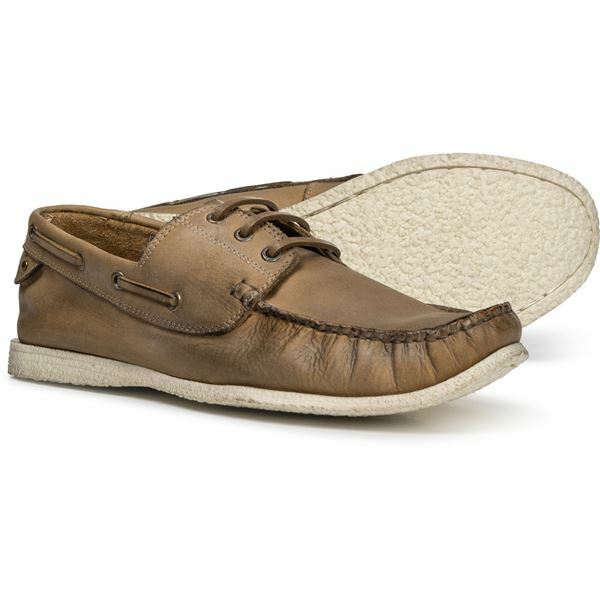 Kicks made for adventure by the bay, Roanand#39;s Bay boat shoes let you unwind in comfortable, full-grain leather with handsome metal lace grommets. Available Colors: BLACK, COGNAC. Sizes: 8, 8.5, 9, 9.5, 10, 10.5, 11, 11.5, 12.